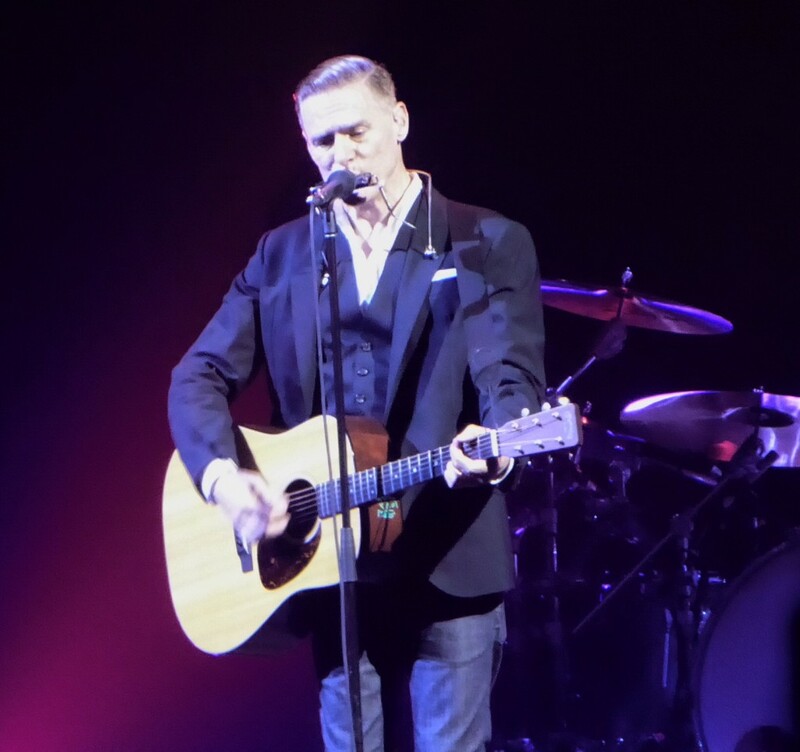 Share the post "Gig review: BRYAN ADAMS – SSE Arena, Wembley, London, 30 May 2018"
When Bryan Adams released his ‘Ultimate’ album last year, I wondered wearily whether the world really needed yet another compilation to add to his catalogue, as there surely can be few potential fans left unaware of the best known elements of his 35 year plus body of work. But a tour to support a Greatest Hits album, and from such a proven live performer, was a different proposition entirely. 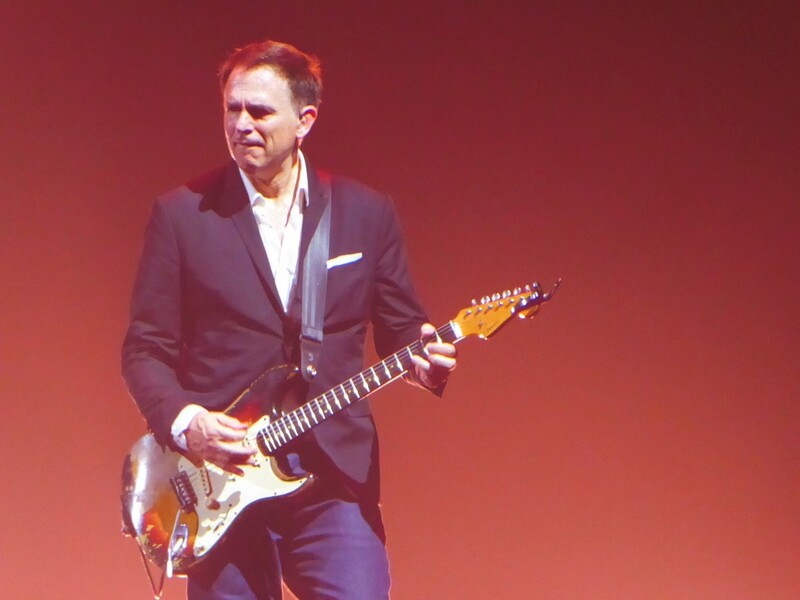 While his hit making days are long gone, this Canadian anglophile’s enduring appeal was shown in the fact this was the first of two London shows in successive nights, the second being at the cavernous 02 Arena. 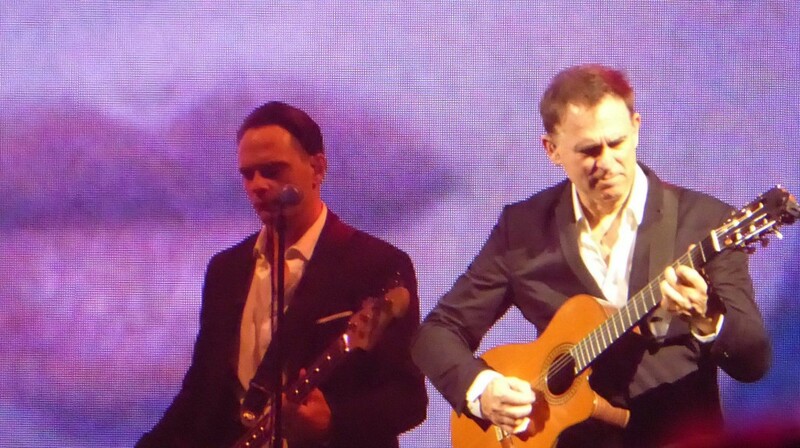 The show had something of a back-to-basics feel, with none of the set pieces he has used in the past like plucking out audience members to duet. 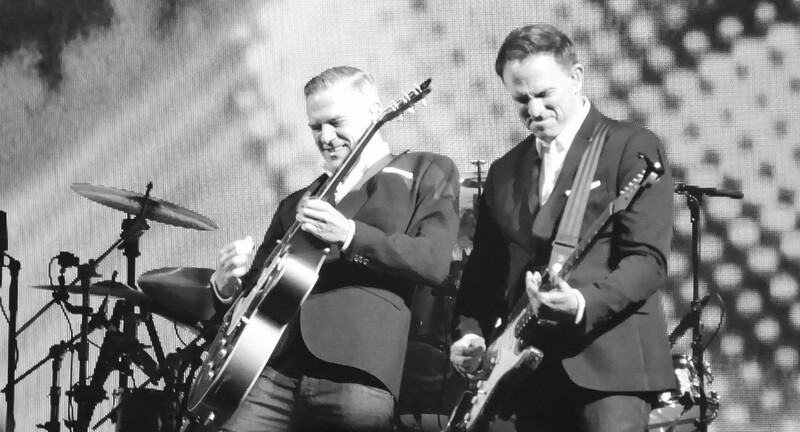 The lighting was generally monochrome to fit the sharp suits and shirts the band have worn in more recent years, with a series of well-chosen video montages the one concession to visual flamboyance. The orange album cover therefore formed the backdrop to a surprisingly lively new cut, ‘Ultimate Love’ which chugged along with a hint of ZZ Top, though my enjoyment of ‘Can’t Stop This Thing We Started’ was distracted by a bizarre video of a shopping mall. The strength of the man’s back catalogue was shown in the way ‘Run To You’, his breakthrough hit here, was slipped into the set just three songs in. Without outstaying its welcome, it was one of many where suitable pauses were placed in the song to encourage audience participation. A similar tactic was also used mid-set during the timeless ‘Summer of 69’, another where the usual concert conventions of saving biggest hits to last were inverted. He mixed old and new, the up-tempo duo of ‘Go Down Rockin’ and ‘This Time’ by my reckoning separated by 33 years. They were sandwiched by ‘Heaven’ in which Bryan paused after Gary Breit’s piano intro to allow the crowd to sing the first verse, and the whole song seemed to have a slower, more stripped back feel than on ‘Reckless’. 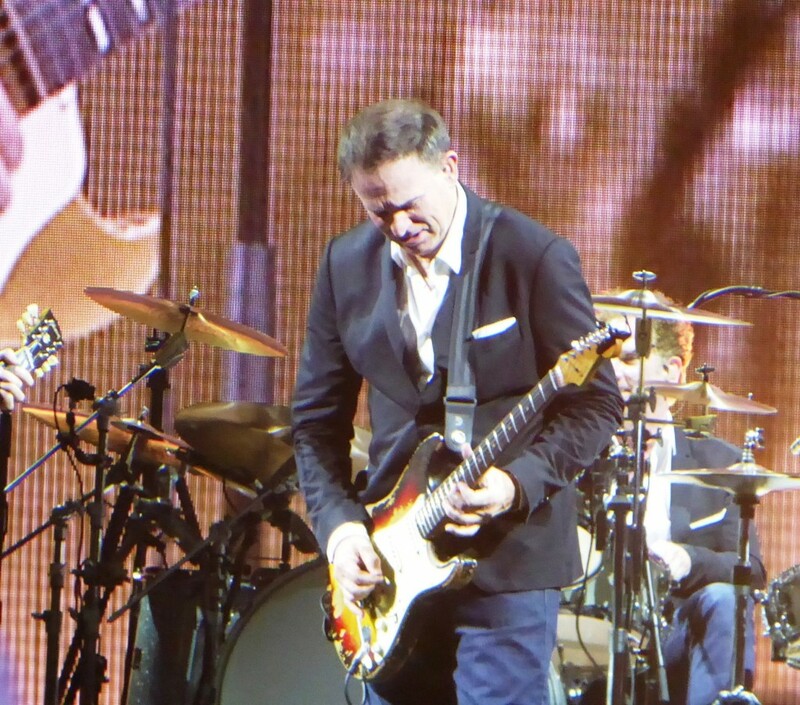 In contrast, after Bryan dryly created some false tension that may have led the more gullible into believing that Tina Turner was about to appear, ‘It’s Only Love’ was perhaps the rockiest of the set with his ever faithful wingman Keith Scott teasing some raw sounds out of a battered Stratocaster. In contrast a new ballad ‘Please Stay’, and ‘Cloud No 9’ were dreary, though the majority did seem to enjoy swaying to the latter. Bryan encouraged people to go into the aisles and dance to his recent foray into rockabilly ‘You Belong To Me’ but acoustic sections have become a big part of his set, in this case versions of ‘Here With Me’ and, perhaps surprisingly, ‘When You’re Gone’ led into the inevitable ‘Everything I Do (I Do It for You’), never my favourite but again I was in a minority as the place was lit up by a sea of camera and phone lights. For me, that chartbuster marked a turning point in his gradual career transformation from clean-cut rocker to sentimental housewives’ favourite. However the former side of his character was very much still on view, with the likes of ‘Somebody’ and ‘The Only Thing That Looks Good on Me is You’. ‘Back To You’ was a real highlight, with Gary’s piano and some very George Harrison-esque slide playing from Keith who also shone on Spanish guitar on a rare dip in pace on ‘Have You Really Loved A Woman’. ‘Cuts Like A Knife’ is still an ever present favourite after all these years, being a standard vehicle for crowd participation while ’18 till l Die’ was gloriously anthemic, with the words changed vocally and on the video backdrop to reflect that Bryan is now 18 going on 59. 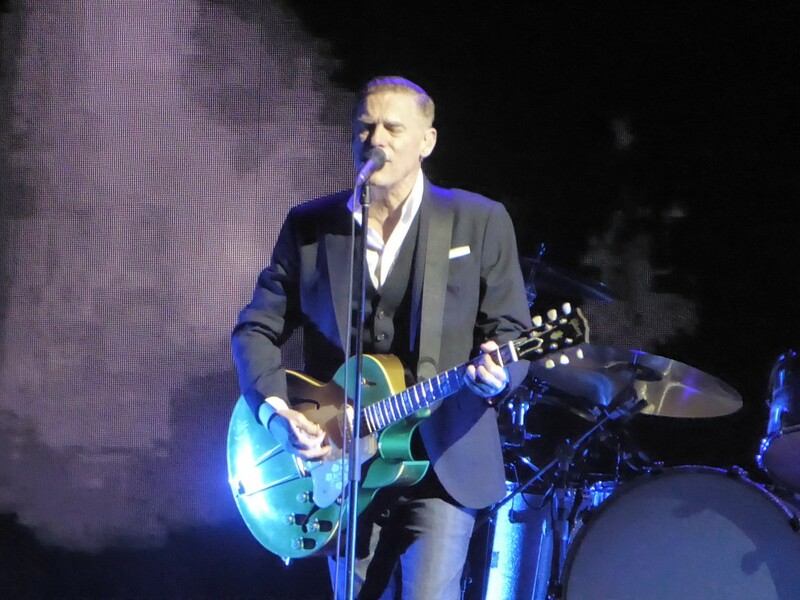 It wasn’t all old glories though, so after a rootsy canter through ‘I’m Ready’ with Bryan on harmonica, the way he built ‘Brand New Day’ from a stripped back beginning, bursting through into a hook-filled chorus suggests that this track from his last studio album ‘Get Up’ has become a fan favourite to rank with the older songs. He opened the encores with a song I had never heard before ‘I Could Get Used To This’ but both that and ‘I Fought The Law’ were enjoyable slices of sixties-influenced garage rock before, again in keeping with modern day Adams tradition, the band took their leave and he saw out the set as a lone troubadour. Most of the set so far had been predictable but the biggest surprise came when he covered an ‘Irish country tune (sic) made famous by Thin Lizzy’, and gave a spirited rendition of ‘Whiskey In the Jar’ with his harmonica playing very effectively substituting for the lead guitar line. He then ended the show in its more usual fashion with the simple, even schmaltzy, but effective sentiments of ‘Straight From The Heart’ and ‘All For Love’, delivered again to a sea of phones and lighters which were projected onto the video backdrop to create quite a spectacle. In a show of exactly 2 hours the ‘groover from Vancouver’ and band had squeezed in a mighty 27 songs, proof that this was a lean hit machine stripped bare of any padding or embellishment. 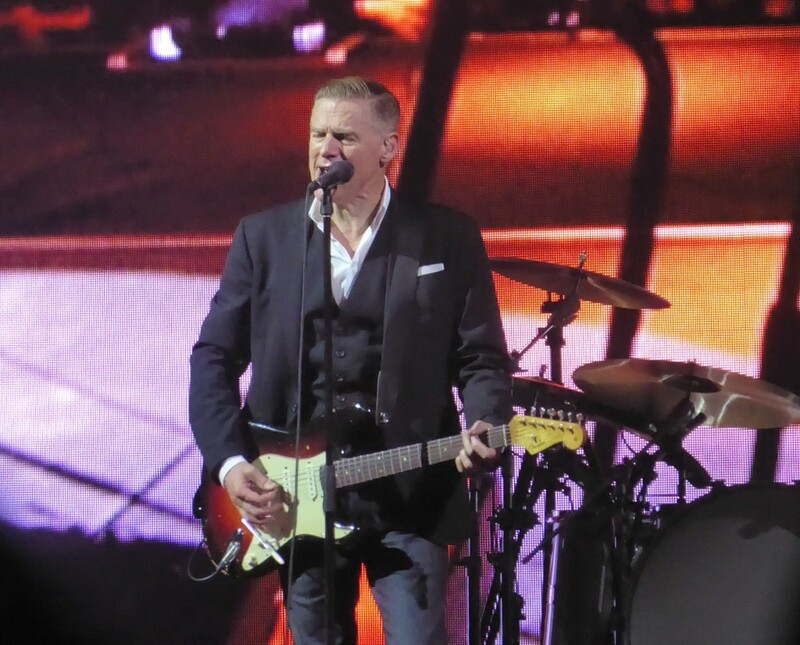 Other gigs during the year may be more spectacular but for a no-frills show of an instantly recognisable back catalogue delivered with an unforced, old-fashioned showmanship, there won’t be many more enjoyable. 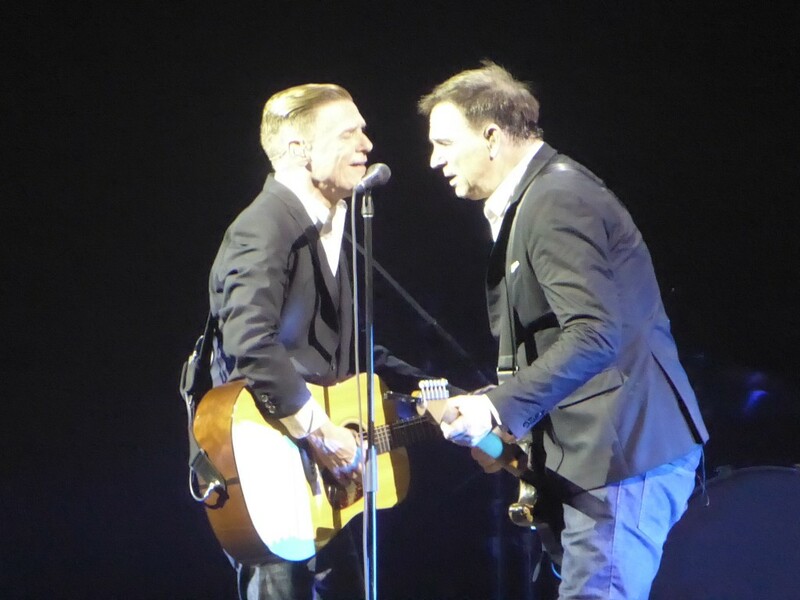 This entry was posted in All Posts, GIG REVIEWS and tagged 30 May 2018, AOR, Bryan Adams, Canada, gig, Keith Scott, London, pop rock, review, SSE Arena, Wembley. Bookmark the permalink.